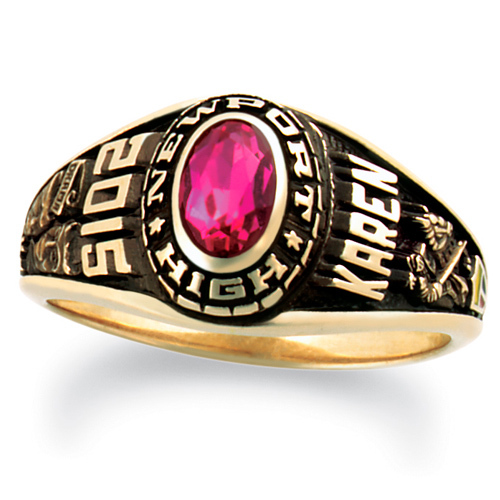 The girls' Petite class ring is a medium designer ring style from ArtCarved. The ring features a 6mm x 4mm oval simulated stone. Ring top width: 9.8mm, palm width: 2.0mm. The Petite class ring has a solid back and is handcrafted by ArtCarved.